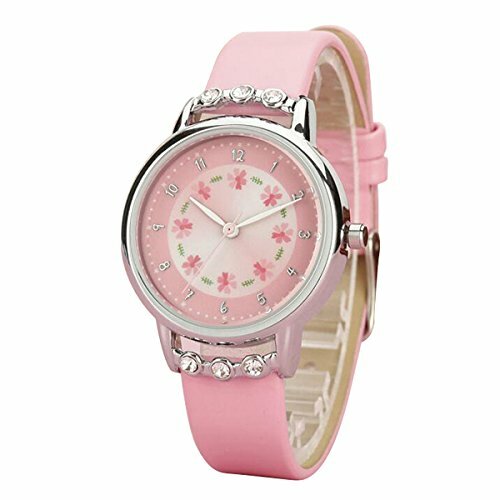 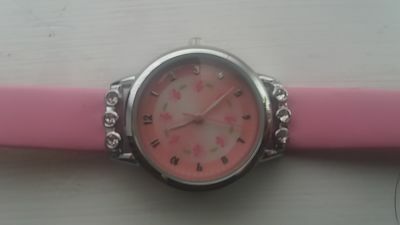 This Cute Girls Analog Kids Watch has a leather wrist strap in pink and i think that's what attracted me to buy this as a nice present for my daughter this Christmas . 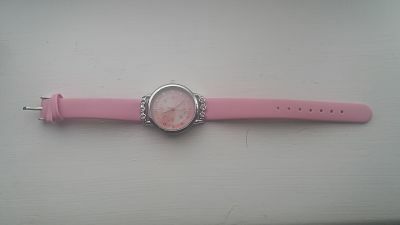 I have bought many watches over the years of various character that were the fad that year as she has grown through the years but now when she needs a watch doesn't have anything that still works that isn't babyish so knowing she need one went on the hunt for one fr Christmas , I went for an analog over digital as she is older now and can tell the time properly and this is not just for time keeping but a fashion accessory , so this had to look pretty and it does with its rhinestone gems , this looks expensive but fashionable . 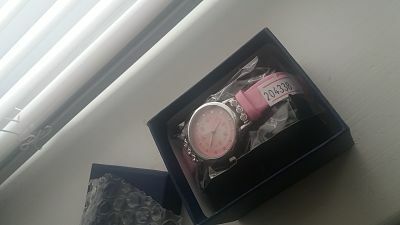 This was packaged really well but also the presentation was nice as it was on a nice pillow and in a plastic wrapping covered in bubble wrap .